This provider is not accepting online appointments currently. Call the doctor's office at (818) 843-8700 to book an appointment. Dr Rabin listens and then helps. "Im honest and up-front. 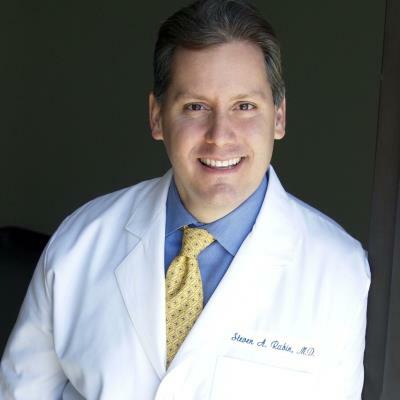 As a gynecology specialist in Burbank, I seek answers that combine traditional therapy with innovative treatments and procedures. No two women deserve to be treated exactly the same way. I recognize the unique health profile of each patient. I strive to understand what my patients experience so I'm attuned to their health needs. I have no preconceived notions about what is normal for this woman or that woman; rather, I listen to what you tell me and truly believe your concerns are real. Every woman should have options in her care. I make a point to deliver choices. While major surgery is an important part of my practice, sometimes there are minimally invasive and non-surgical solutions. I want my patients to know about them. I enjoy when we discover the root cause of a patients symptoms. It takes time, energy, persistence to find out why a problem exists and develop a solution rather than just write a prescription and send a patient along her way. You are a whole woman, not just female parts, or a set of lab results. Lets take good care of you so you can take care of everyone that depends on you. Women are very aware of changes in their bodies. I listen to your concernsyour challenges are my challenges. If you're looking for gynecological care focused on you you have found it here!"